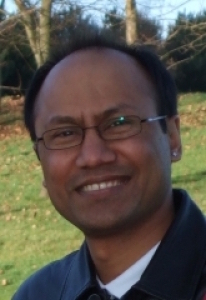 Dr. Prithvi Shrestha is a Senior Lecturer in English Language Teaching and a Research Convenor of the Applied Linguistics and Literacies Research Group in the School of Languages and Applied Linguistics, The Open University, UK. He holds a BEd, MA in English literature (both Tribhuvan University, Nepal), MA TESOL (University of Lancaster) and EdD (The Open University). Prior to taking up the job in The Open University in 2006, he worked at Goldsmiths, School of Oriental and African Studies (SOAS) and the London School of Hygiene and Tropical Medicine (all University of London). He taught as an English language teacher in secondary schools and worked as a teacher educator in Nepal over 12 years. He teaches academic literacy, EAP and ESP courses and supervises doctoral students. His research sits broadly within educational and applied linguistics, underpinned by Vygotskian sociocultural theory and systemic functional linguistics. In particular, his work has contributed to the field of academic literacy, language across the curriculum, assessment and educational technology mediated language teacher education in developing countries. He currently leads on an IELTS test impact research project (Bangladesh & Nepal) funded by the British Council and co-leads a TOEFL iBT test validity research project (Nepal and Sweden) funded by Educational Testing Services (USA). He has published books, book chapters and journal articles in the research fields mentioned. He has published articles in Journal of English for Academic Purposes, Assessing Writing, RELC Journal and Curriculum Journal. He is a founding editor of the Journal of Language and Education. He served as a Joint Coordinator of the IATEFL ESP SIG from 2013 to 2016. 1.Thank you very much for joining us on NNEST-of-the-month blog. Could you briefly tell us about your linguistic, academic, and professional background and how you got interested in learning language and becoming an educator, especially a teacher of English? Dr. Shrestha:Thank you very much, Madhukar, for inviting me to be interviewed for the NNEST-of-the-Month Blog. I feel honored and privileged to have this opportunity. I was born in a remote village of Namjung, Gorkha, Nepal. Though my family comes from an ethnic community called Newars that has its own native language (Newari), I always spoke Nepali as my first language as my parents spoke this language only and was briefly exposed to the Magar language (an indigenous language spoken by Magars in Gorkha) in my early childhood. My formal language learning journey began in a state primary school, located in a remote village of Darbung, Gorkha, Nepal. I went to this Nepali medium school where I started learning English as a foreign language (EFL) at the age of 10. As you may imagine, throughout my school years, I was taught English through a grammar-translation method. Despite this, I had always been very keen to learn this language and one day become proficient in it! With this dream (let’s say intrinsic motivation), I pursued studying an English language degree at Tribhuvan University, Nepal. While studying, I began to realize that there was a shortage of EFL teachers in the country, especially in rural areas. So in this sense, I had both intrinsic and extrinsic motivations to learn English and then become an EFL teacher. More importantly, I believe that language education is crucial for social mobility and economic growth. I began my EFL teaching career in a community secondary school in 1990. As a new EFL teacher, I was eager to apply what I had learned in theory to my classroom practices. This was, however, challenging given the large number of students (over 90) and the lack of any educational resources. Therefore, I had to find new ways of dealing with situations. This meant starting to develop a network of EFL teachers and learn from others as there was no professional EFL organization then. This was possible only at the local level. In 1993, my situation changed drastically when I was offered an EFL teacher’s post at Gandaki Boardking School which is a well-resourced English medium school in Pokhara, Nepal. This is where I had the opportunity to develop professionally and become an English language teacher educator both locally and nationally via NELTA (Nepal English Language Teachers’ Association) which had just been set up to bring all EFL teachers and teacher educators together in Nepal. Having taught as an EFL teacher in Nepal for 12 years, I moved to the UK to study MA TESOL at the University of Lancaster on a Hornby Scholarship in 2002. Since 2003, I have been working in the British higher education which, for me, is a leap from an ‘Expanding circle’ to the ‘Inner circle’ to use Kachru’s (Kachru, 1998) classification of world Englishes. Currently, I work as Senior Lecturer in School of Languages and Applied Linguistics, The Open University, UK. Here, I lead on designing technology-mediated courses for distance learners. These courses mainly include academic literacy, English for Academic Purposes (EAP), and English for Specific Purposes (ESP). So my working context is very different from traditional higher education settings. There is an open entry policy for undergraduate degrees and increasingly we teach our courses online only. All our students are part-time and most of them are in employment. As an EAP and ESP leader, I have also served as a Joint Coordinator of the IATEFL ESP SIG (2013 – 2016). It was in recognition of my work in the field and was honored to be the first(?) South Asian to take this role. 2.You have led or co-led a number of research projects. You have worked as an editor for reputed peer-reviewed journals, published your research works, and presented at conferences. Could you highlight your main areas of interest for research, publishing, and presentation at conferences? In what ways do you think your academic publishing and your presentations at conferences contribute to the literature of NNEST issues, World Englishes, and EIL? Dr. Shrestha: My research sits broadly within educational and applied linguistics, underpinned by Vygotskian sociocultural theory and Systemic Functional Linguistics. In particular, my work has contributed to the field of academic literacy(ies), language across the curriculum, assessment and educational technology mediated language teacher education in developing countries. In academic literacy and language across the curriculum, my key contributions have been understanding how dynamic assessment (a form of learning-oriented assessment) can support distance learners’ academic literacy development (see Shrestha, 2017; Shrestha & Coffin, 2012), how academic literacy contributes to learners’ progression in a discipline (e.g., science and early childhood studies) and how academic literacy embedded assessment can be designed to support distance learners effectively. These aspects are ongoing issues in higher education. Another key focus of my research has been investigating the impact of commercial language tests such as IELTS and TOEFL on different stakeholders in low economy countries (Bangladesh and Nepal). This work contributes to designing English language tests that are context-sensitive. Finally, my research in technology mediated language teacher education in developing countries has been within large donor-funded international development projects (e.g., English in Action in Bangladesh and Teacher Education through School-based Support India (TESS-India) in India). My key contribution is in the area of English language teacher professional development through mobile technologies in low-resourced contexts by developing research-led locally sensitive teacher professional development resources in Bangladesh. In terms of contributing to the literature of NNEST issues, my research in language testing and assessment, and language teacher education in developing countries are of importance. In language testing and assessment, I am currently investigating the impact of two well-known commercial English language tests, IELTS and TOEFL iBT, on different stakeholders in NNES contexts (Bangladesh, Nepal and Sweden) from a critical perspective. This work has begun to provide insights into how context-sensitive these tests are and what their consequences are for NNES. This advances the debate on the validity of these tests in non-English speaking countries. And through my doctoral supervision, I continue to encourage my NNES students to investigate pertinent issues in their contexts. For example, one of my students has been examining the role of English as a language for business communication among businesses in Greece and its social and economic effects in the society. My research within language teacher education in developing countries, especially two large-scale projects mentioned above, has addressed issues that NNES teachers face every day. In particular, I have argued that any large donor-funded language teacher education project should be sensitive to local cultural and linguistic diversity of the host country (e.g., see Shrestha, 2012, 2013). I have been editing peer-reviewed journals for about 10 years. In this work, I have often mentored NNES authors which enabled them to publish in the journal successfully. I find this really rewarding. 3. Could you share with us your memories of some of the challenges you encountered as a consequence of your international identity, more specifically of having an NNES identity as an international graduate student as well as an ESL/EFL professional while pursuing your MA TESOL and doctoral studies in the UK? Dr. Shrestha: My journey, both as a student and professional, has been full of challenges. Specifically thinking about my study experiences in the UK, it was a huge cultural shift for me to be conversant in UK academic cultures. For example, how I used to write assignments did not meet my needs for the MA TESOL degree at Lancaster. I had to learn certain new conventions which were essential for academic writing in the UK. This continues to be a challenge as I like to maintain my NNES identity and meet the requirements of academic publishing in the West. As an NNES professional, finding the first job that suited my experience and qualifications was the hardest thing in the UK. However, with perseverance and my ambition to work in a UK university enabled me to find a part-time EAP lecturer post at Goldsmiths University of London (2003) which helped me to have a foothold. Soon after this, I was able to secure a pre-sessional EAP tutor post at the School of Oriental and African Studies (University of London) in 2004. This is where I encountered the first experience of subtle discrimination against myself as an NNEST. I was looked down upon by some EAP tutor colleagues because I was from ‘Nepal’. This experience was extremely upsetting and almost damaging to my career. I turned this experience to fueling my ambition further which paid off as I was able to secure another part-time EAP job at London School of Hygiene and Tropical Medicine (University of London). This experience has taught me to be resilient which I continue to develop. This is something perhaps all NNESTs who moved to English speaking countries might have experienced. 4. You are currently Senior Lecturer in English Language Teaching in the School of Languages and Applied Linguistics at The Open University, UK. What are the courses you teach there? As an NNES professional, what opportunities and challenges have you experienced working at your university so far? Dr. Shrestha: As I explained earlier, my main bulk of teaching involves leading the design and writing of technology-mediated academic literacy, EAP and ESP courses for open and distance students who are mainly UK home students and study part-time. I also collaborate with subject faculties (academics) to embed academic literacy in undergraduate courses (e.g., Science and Early Childhood Studies). I recently led on a university-wide initiative to develop an academic language and literacy practices framework which is now a part of the university curriculum. I currently chair the production of an ESP course for business and management students. I supervise doctoral students. Currently I have five doctoral students in different stages of their research trajectory. Their research topics range from English for Vocational Purposes, language test impacts, home literacy to Mobile Assisted Language Learning. In the recent past, I worked as an English language specialist contributing to the academic directions of the large-scale international projects mentioned earlier. These projects were opportunities for me to pay back to South Asia where I spent all of my formative years in my NNEST career. Working at the Open University (OU) has come with both challenges and opportunities. In terms of challenges, it was the sheer experience of having to work in a distance education context, which was often painful in the early days, as I was so used to face-to-face teaching till I started my job at the OU. This meant constantly finding innovative ways of teaching and learning and adapting available technological resources and tools to serve student needs in the best possible way. When faced by these challenges, the solution was not often easy but it was a matter of constant research and development and taking risks. I was able to turn these challenges into my opportunities. I have developed my expertise in designing technology-mediated EAP and ESP materials which I couldn’t have done without the OU experience. Likewise, I find the environment conducive to conducting my research as a result of which I have been able to fulfil my research ambitions leading to where I am now. The road ahead is certainly full of challenges due to what is going on in the UK (including Brexit) and globally as the macro environment always affects our working contexts. This has implications for me as an NNEST to grow further. 5. Our May 2016 guest, Prem Phyak argues, “the impacts of ‘native and ‘non-native’ dichotomy are real; this dichotomy still exists through various mechanisms, discourse and governmentalities. It is deeply rooted in our mind, behavior, and practice”. How do you think this assertion of NS-NNS dichotomy that perpetuates bias and discrimination be tackled, and/or resisted? Dr. Shrestha:I couldn’t agree more with Prem Phyak. In my view, this dichotomy continues to be real and creates barriers to NNESTs both in English dominant countries like the UK and countries where it is used as a lingua franca or a medium of instruction. In countries like the UK, language (education) policies, and teacher recruitment policies are obviously designed to suit the workforce within the country. This means there will always be subtle bias towards NS teachers as my own personal experience shows. However, the most worrying thing is how EFL teachers are recruited in non-English speaking countries. For example, recently in a BALEAP mailing list, there was a heated debate about the use of the term ‘native speakers’ in an EAP job advertisement in Hungary. This shows that policy makers in such countries should be aware of what actually they are looking for so that they don’t inadvertently promote any discrimination against NNESTs despite their rich multilingual experience and EFL expertise which are much needed in this globalized world where translanguaging is increasingly seen as an asset in language education and elsewhere. In order to minimize the bias towards NNESTs, individuals have their own ways of handling it. More importantly, it is the professional organizations like TESOL and government agencies that need to make employers aware of the potential consequences of this kind of bias. 6. We often come across discriminatory job advertisements on social media, websites of various ELT/TEFL/TESL industry (i.e., universities, colleges, private language and training schools) that tend to perpetuate the ideology of native speakerism. It is evident that discriminatory hiring policies and practices against NNES are still into effect to date despite continuous advocacy efforts from professional association like TESOL International Association, NNEST-IS leaders, NNEST blog team, and TEFL Equity Advocates campaign? How do you think ELT/TESOL educators should address this prevalent issue of bias and discrimination to bring social justice and professional equity? Dr. Shrestha: As I have just mentioned, professional organizations like TESOL and IATEFL, and government agencies can bring about some positive changes to address the prevalent issue of bias. That can, nevertheless, only help to change recruitment policies at best. It is in fact individuals like ourselves and our NS colleagues who can make a difference. For example, the ‘behind the scene’ work of shortlisting candidates for the EFL job is where the real first step of bias begins. If that can be changed, the bias can be further minimized. Likewise, behaviors of department heads and other NS colleagues towards NNS colleagues may need to change to create an environment which promotes equality and diversity. It is also about changing perceptions of EFL students who often tend to think that they are best taught by NS EFL teachers despite NNSETs being highly experienced and well-qualified. So it is important that we raise awareness of such issues among our students. And it is equally important to use learning materials that are not focused on English speaking countries only but others too that promote linguistic and cultural diversity. 7. Could you tell us briefly about your current writing projects and publications? As a busy ELT/TESOL professional, researcher, and writer, how do you balance your professional and personal lives? Dr. Shrestha: For the next few years, I plan to focus on writing research articles and publish them in order to meet the demands of next research evaluation exercise in the UK (2021). This puts an extreme pressure on all research active UK university academics and this is even more so for an NNEST like myself. Currently, I am working on a paper that examines micro-genetic academic writing development in formative assessment in relation to tutor feedback for which I employ Systemic Functional Linguistics as an analytical tool. It builds on my previous work on dynamic assessment (a learning oriented assessment approach, see (Shrestha & Coffin, 2012)). I am writing a project report for the IELTS impact study project that examined the IELTS test impact on different test users in Bangladesh and Nepal. And I have three other research projects that will keep me busy for the next few years! Balancing professional and personal lives (in the way I see them) has always been challenging to me. This is so because, as an NNEST working in an English-speaking country, I strongly feel the need to go ‘an extra mile’ to survive, if not to prosper. This often means a limited time for your personal, social and family life. Despite this, I tend to block some time regularly for family and friends whose support is essential to carry on working in the current environment. And, of course, prioritizing what needs to be done always helps to achieve this balance and keep me going! Kachru, B. B. (1998). English as an Asian Language. Links & Letters, 5, 89-108. Shrestha, P. N. (2012). Teacher professional development using mobile technologies in a large-scale project: lessons learned from Bangladesh. International Journal of Computer-Assisted Language Learning and Teaching, 2(4), 34–49. Shrestha, P. N. (2013). English language classroom practices: Bangladeshi primary school children’s perceptions. RELC Journal, 44(2), 147 – 162. Thank you, Dr. Prithvi Shrestha for taking the time to share your very interesting and insightful experiences, and critical ideas with our readers within the TESOL community and beyond. This entry was posted in Uncategorized on April 16, 2017 by madhukarkc25. Great interview. Congratulations Dr. Shrestha.